Good Eating and Organic Vegetable Delivery in Jaco. 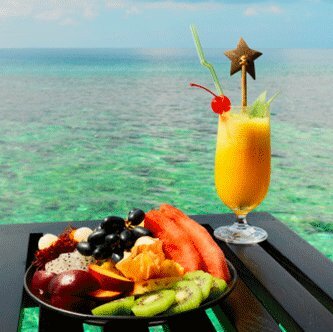 Pura Vida Pantry offers amazing healthy meals delivered to your home or office in the Herradura, Jaco, Hermosa area. These are fresh and delicious home cooked meals, not to mention many are either vegan, vegetarian, raw or all of the above (but don’t let that scare you – this is good stuff). You can find more info on their Facebook page – email them with any menu questions. 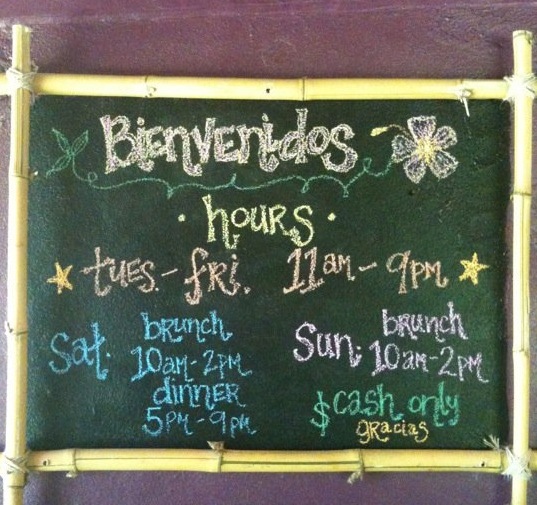 Pura Vida Pantry is also working on opening a new restaurant in the next few months in North Jaco. It will be an inclusive Organic Market & Vegetarian Kitchen, featuring vegetarian, raw/living & vegan cuisine with ethnic fusion flavors as well. We can’t wait! Another great service we just discovered is Organic Vegetable Delivery fromCentral Pacific Organics. Organic and pesticide-free hydroponic produce delivered weekly to the Jaco area. The Downward Dog Cafe opened in July to great reviews. Located on Calle Hermosa at Vida Asana in Playa Hermosa, this open-air restaurant has a great setting and the Sunday brunch is fantastic. More great additions to the community. Wow! And there is even 3-D movies showing. Yes, the rumors are true. Jaco finally has its own movie theater. There are three screens including one for 3-D flicks. You can check out what’s playing on CitiCinemas Facebook Page or on their website. It’s located in Plaza Coral upstairs (KFC plaza). Galeria Murillo is now open 150 meters south from Terrazas del Pacifico Hotel, on the highway in Playa Hermosa. There is a big sign and parking in front of the gallery. 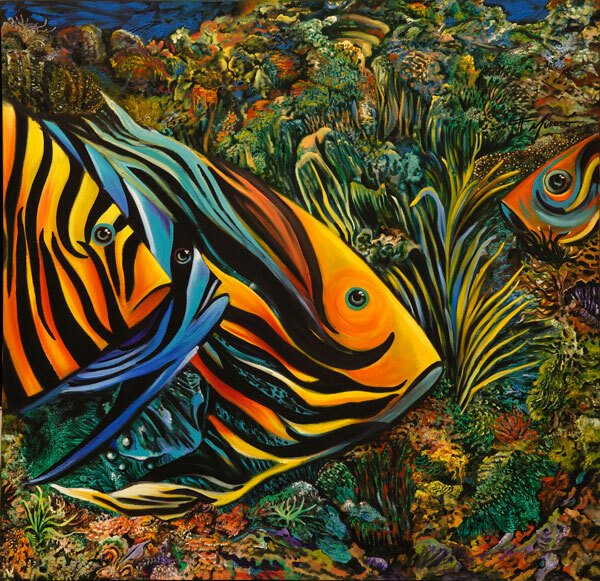 Lots of amazing large canvases – stop by and have a look. Monday through Friday, 10am-1pm and 2pm-5pm; other hours by appointment. This beautiful home on Calle Hermosa is gorgeous. With four bedrooms, three bathrooms and ample entertaining space, this 3760 sq ft. home is perfect for the full time resident, or owner who wishes to utilize for rental revenue. Staggered decks allow for beautiful vistas from every floor! Big Price Reduction. Was $610,000. Now $500,000. Amazing 3 bedroom condo. Spectacular Views. Lots of outdoor space. Magnificient resort condoperched on the edge of a hill with nothing but amazing views. Scarlet Macaws nesting in giant tree over the deck – it really doesn’t get much better in Costa Rica. Click here for more photos. 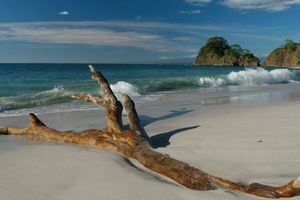 A short walk to Costa Rica’s whitest sand beach. 3 bedrooms. 2 baths. 2 balconies. 1 deck. Approx. 1722 sq ft. $610,000 US. $500,000 US. Contact Tina Wallace today (506) 8331-1811. Tina also has a rental condo available for short or long-term in this same amazing building. Pura Vida is available for those that really want it! $399,000. Drastic Reduction. Lowest price in Los Suenos resort & marina. Beautiful condo featuring 2 bedrooms, 2 baths, views of the pool, mountains and golf course. One of the newer condo developments in the luxurious Los Suenos Resort with full service marina and 18-hole golf course. 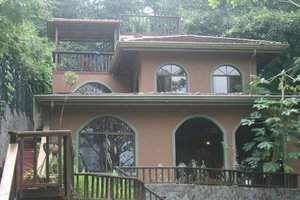 Los Suenos is an excellent location and one of the hottest areas of Costa Rica! 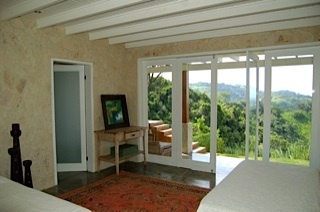 Fully furnished unit with granite counters, stainless steel appliances and gorgeous views of the scenic natural beauty of Costa Rica. Los Suenos has 24hr security, full service hotel and Spa, dining, shopping and casino all within walking distance of this home. Located only 15 minutes from Los Suenos this spacious open plan home is perfect for entertaining, soaking in the 360 degree views or simply enjoying the pura vida. 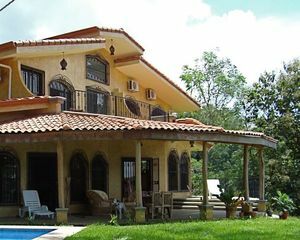 Splash in the pool while enjoying the forest and mountain views or take a horse out of one of the five stables and ride to Agujas beach waterfalls or the cantina for a sunset cocktail. This house features 5 bedrooms, 4 bathrooms in 4000 sq ft. Architectural details. Great deal on a beautiful home. 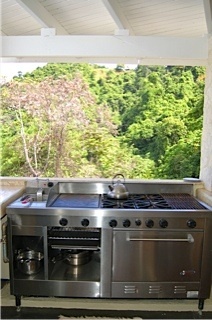 This is the Costa Rican Dream! Open concept home with sweeping views of Hermosa Beach. 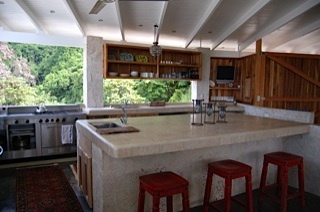 Large gourmet kitchen. 2 bedroom. 3 bathroom in 1916 sq ft. Lot size is approximately 1.2 acres. 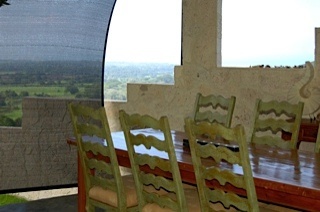 Open air living / dining room with screens to prevent rain ingress. Bedrooms and smaller living room can be closed off with doors and be fully a/c’d when you choose. Well water supply. Includes all furnishings! 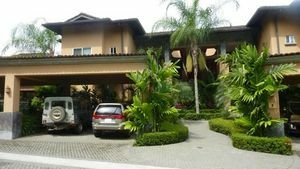 For more information on Costa Rica real estate or any of these newsletter stories & listings please feel free to contact Tina Wallace at TS Water. 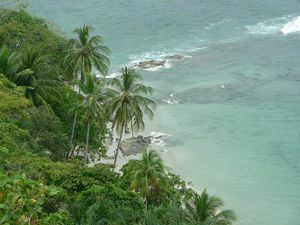 LIKE TS WATER on Facebook and keep up-to-date with real estate & happenings on the Central Pacific Coast of Costa Rica.